Have you ever tried gardening with a dog around? You may think that dogs and gardens are at odds. Many dog breeds like Dachshunds, Beagles, and Miniature Schnauzers love to dig. Most are full of energy. They love to play and run around. Dogs are more likely to trample your garden than to be of any help, right? Not exactly. With a little bit of training, patience, and ingenuity dogs can make great gardening partners. The extra time outside is a great way to keep your dog happy and active, and they can even help by keeping other furry pests out of your garden. 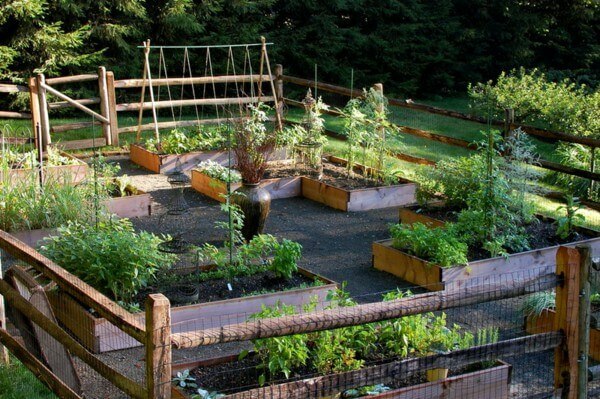 Fact: Gardening is the most popular outdoor leisure activity of American households and dogs are the number one pet. So combining these two should be a joy, yet all you hear about are problems like digging vegetables patches and running around and ruining flower beds. But you have to remember, it is in a dog's nature to roam and play in the great outdoors. So as pet parents it's our job to plan a dog-friendly garden that will accommodate our canine friends also. Some breeds come with already built-in predispositions so it's useful to know more about your dog's breed characteristics and personality when you're garden designing. Dachshunds for example and smaller terriers like a Jack Russel Terrier love to dig since these were bred to hunt vermin. Larger terriers and other guard dogs like Rottweilers and Doberman Pinschers love to guard so expect them be running around your garden perimeter or fence and bark. And working dogs like the Siberian Husky and Samoyeds will have an inane desire to dig through and see what's over the next hill. Irish Wolfhounds were bred to chase fast moving objects so anything that moves rapidly will trigger him to chase and trample all over your flower beds in its pursuit to catch it. Beagles who are inclined to dig are also avid rabbit hunters. Retrievers even as puppies will resort to chewing everything in sight and water dogs will most definitely be fascinated by any water features in your garden. Head over to AKC Breeds and Groups to learn more about your dog's characteristics and behavior to equip you with the knowledge of their genetic heritage and have plans in place for how you handle digging, chewing and other problems. The least formal gardens are the easiest and work best for dog owners so you can both enjoy it. Cottage or English country gardens are forgiving gardens. Just ensure your irrigation is also well in place since urine can pose a danger to them. These garden designs feature a large volume of plantings with various shapes and sizes with large foliage covering. 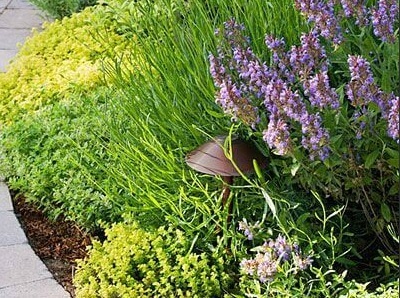 These garden designs discourage casual trampling and any damage that does occur will have minor to low impact done to your flower beds. Now that we've talked a little bit about dog breeds and sizes and their tendencies we need to turn our focus on you. The choices you make will dictate how your dog and garden will work together. How does your pet spend most of his time? If you are a working pet parent and you prefer leaving your dog outside to guard your house or deter him from destroying things in your house while you are away at work then a large kennel or a fenced dog yard would be a more suitable arrangement. Then in this case, you'll have to plan your garden to provide Fido with the required entertainment features he'll need to give him something to do while you're away. Yes, it is likely that an untrained dog will have a field day in your garden at first. They will go anywhere and everywhere if they think that they are allowed. There are a few solutions to this problem. One of them is to teach dogs border control. Almost any age and breed can learn this, but its best to start them young if you can. First, a designated path must be formed where your dog can walk around the garden and survey its territory without having to walk among the plants. Train your dog to walk on the path by using hand signals and verbal reinforcement. Generally, dogs will dig up stone or pebble paths. Paving a path is one of the best options, but you can also use flat stones, mulch, synthetic grass, or other materials that will be harder to ruin. Elevated gardens are another option. If the garden is elevated, you can more easily train your dog not to jump into the garden space. Another solution to keeping a dog out of the garden is to create a special area that is just for them. You can include a spot where your dog can dig, so that they learn not to dig where the plants are. 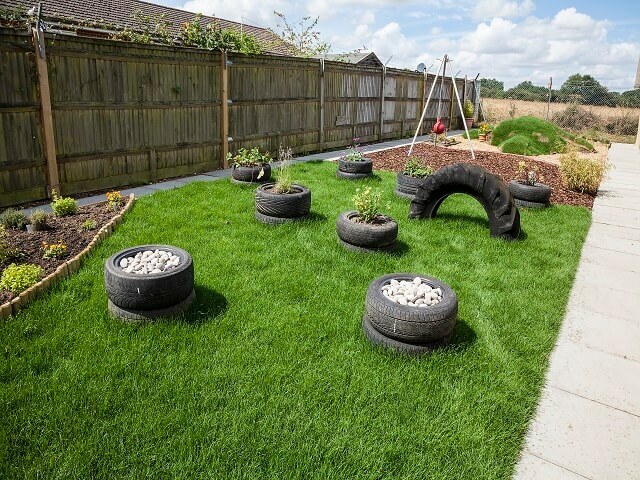 Set up this space using sand or earth and bury dog toys or bones while the dog is watching. Then encourage him to dig up his toys. This is one way to keep your furry friend stimulated while you garden remains intact. When your dog digs in its own pit, use positive reinforcement like, “Good boy (or girl), dig in your pit!” They will learn that this is where they are allowed dig. Most dogs will love basking in the sun while you tend to your garden. The important part is making sure that they are safe while doing so. Always have cool, fresh water available. Create a water feature so Fido remains cool on hot days. ​Don't garden with your dog if it is too hot out. Some of our canine friends just can't stick the heat! Keep a close eye on old dogs while you garden. Dogs may even benefit from gardening more than you think. Caroline Ingraham, founder of applied zoopharmacognosy, teaches pet owners that growing medicinal plants in a dog-friendly sensory garden can help them heal naturally and deal with stress. Sensory gardens are a great way to offer dogs a space of refuge, where they can choose what they need to feel better. As Ingraham states on her website, it has been shown that in the wild animals self-medicate and seem to have an innate ability to tell what they need. Owners still need to be careful because this sense that animals have can be skewed, leading them to ingest poisonous plants. Make sure that all the plants in a dog’s sensory garden are safe and include other stimulants like water fixtures, sand, and bamboo to create the perfect doggy oasis. 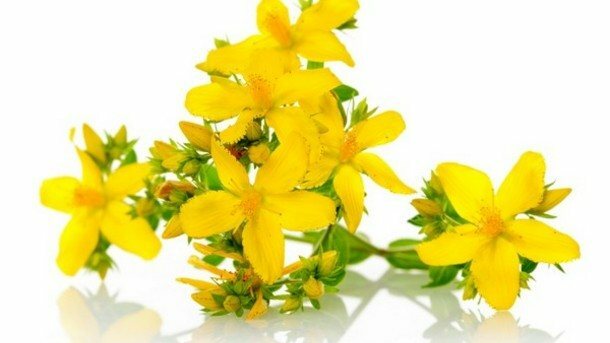 St. John’s wort is used as a sedative and for pain relief. This plant also helps dogs with separation anxiety and aggression. Plant species such as mint, lavender and rosemary will help reduce fleas in Fido. Lavender of course also helps in scar tissue regeneration. Other healthy and safe plants for our canine friends to ingest include fruits such as blueberries, strawberries and herbs such as oat grass, and wheat grass. Willow: animals experiencing pain will be attracted by a willow's bark. Wheat-grass: good for dogs experiencing anxiety. Marigold: animals who experience emotional distress are attracted to it. Valerian: known for its calming properties. Catnip: helps relax and encourages playfulness in animals. Meadow-sweet: chosen by animals experiencing canine arthritis, rheumatism and digestion problems. Marigold: chosen by animals that are distressed. Lastly, plants that are safe for dogs also include most vegetables (like apples, carrots, squash, and peas), Nasturtiums, Forsythia, Lilac, Echinacea, Sunflowers, Bamboo, and Catnip. Just because a plant can be dangerous for dogs it does not mean that you can’t plant it in your garden. It just takes a little ingenuity! Consider, dedicating a fenced play area for your dog with lots of engaging toys and treats. Add a sandbox your dog can feel free to dig in. Hide their bones and favorite dog treats by burying them at first to arouse their curiosity. Fences can be made of wood, metal, stone, plastic or vinyl. When designing your fencing think of your escape artist canine friend and ensure there are no spaces or gaps to discourage them from running/digging. 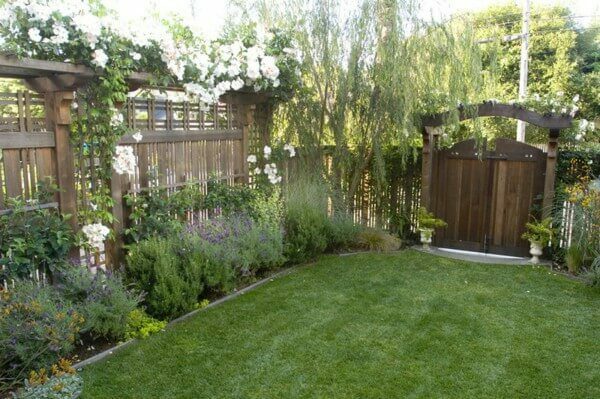 Or, for small dogs, use a fence border around the perimeter of your garden to stop them from trampling your handiwork. For bigger dogs, consider the use of a chicken wire cage with a top enclosure. You can keep dangerous plants out of reach by putting them in tall planters, putting up a border fence, or growing barrier plants that are tall, fragrant, or thorny (holly branches or a pruned rose) around plants that you want your dog to stay away from. The same idea goes for new plants or a vegetable patch that you don’t want your dog to step on, eat or worse pee on. Planting trees in a garden can be difficult with a dog for this reason, which is why you should use a barrier or chicken wire to protect new plants. Splash guards can be used to protect vulnerable trees, and you can rinse the trunks and soil with water frequently for the first few years to make sure that the trees don’t die. Unless you want your hard toil spoilt, keep Fido away by spraying your veggies or plants with white wine vinegar. To keep your plants intact spray lightly and just enough to keep dogs away. You can also use ammonia around the perimeter of your garden. Repel them by using plant marigolds and you also will keep other nasty pests and bugs away. Commercial dog repellents like Critter Ridder is an organic dog repellent which also comes in the form of granule and spray which gives off an odor of black pepper which dogs dislike. The only downside to dog repellent sprays is that you'll have to re-spray after it rains since the scent grows weaker and becomes ineffective. The Scarecrow Motion-Activated Sprinklers is a rather genius repellent device which is a safe and effective method of keeping dogs (and other animals) out of your yard. It sprinkles water upon detection of any movement. The benefit of this dog repellent is that there is no re-application. Finally, Yard Gard is yet another alternative dog repellent to keep our canine friends away from your garden. It works by emitting sonic and ultrasonic sound waves which dogs find offensive. Set it up to remain active 24/7 or to emit sound waves upon detecting movement only. The best way to maintain a garden that is safe for dogs to hang out in is to make sure you don’t leave them alone in the garden for long periods of time. If you need to put your dog outside while you are away, create a separate space for them. This way, they won’t get into the garden while you are not around. Keep your dog stimulated by playing with them, creating a special area that is just for them, and giving them jobs to do while you garden. Dogs love to feel needed and included. Eventually, with a little effort and obedience training, your dog will learn the rules of the garden and be a great companion for your outdoor hobby. I hope you enjoyed our dog-proof garden article. What has been your experience with designing a dog-friendly yard? 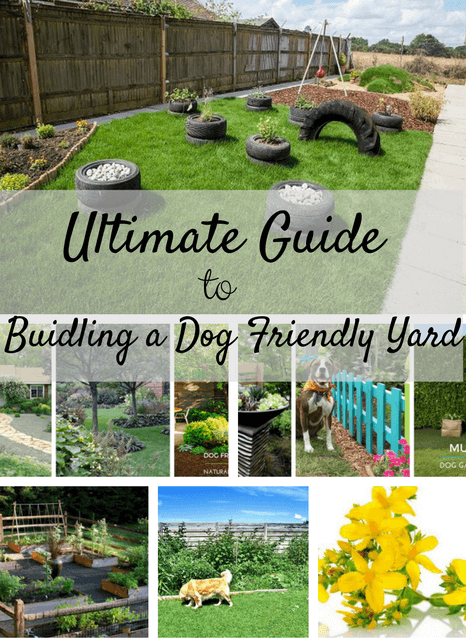 Want to share some of your own dog friendly garden tips? Or perhaps you might have a question. Either way, let us know by leaving a quick comment below right now.